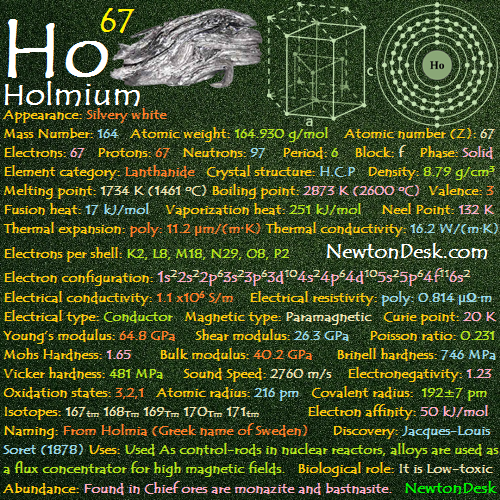 Holmium has a metallic to bright silver luster, soft and Malleable. 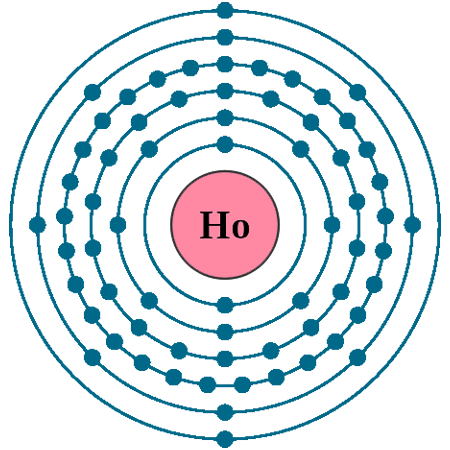 AHolmium can readily absorb neutrons, So it is used As control-rods in nuclear reactors to keep a chain reaction under control. 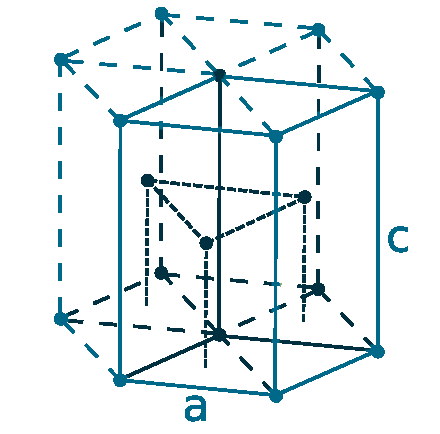 Its alloys are used as a flux concentrator for high magnetic fields. Holman’s Chief ores are monazite and bastnasite. 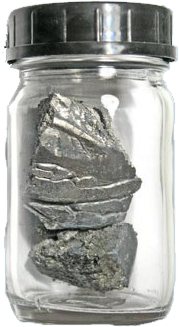 It is extracted from those ores that are processed to extract yttrium. It is obtained by ion exchange and solvent extraction. Annual world production is around 10 tons.